Did you read the title of this page correctly? Are we really suggesting that you should consider using a table rather than a chart? 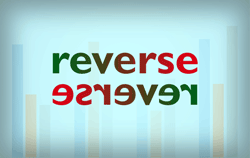 You might have heard the reverse more often -- about using charts rather than tables but like for everything else in life, there's not one glove that fits all hands -- or in this case, there's not one solution that can work with all sorts of data. Imitation is the best form of flattery - and that motto will help you create charts that are so much better! Before we proceed, let us discuss whether imitation is stealing? The answer to that question is that you must only look at imitation as a source of inspiration. And make sure that you leave your own imprint to whatever you create. You can do so by investigating the chart content well, making changes that work for you, and improvising all the time. Patrick Speer has been working in the Computer Industry since 1975. He received his B.S. degree in Physics from The Ohio State University with a focus on computational physics. His extensive software experience includes architecture, project management, and software systems analysis, design, implementation, and training. Pat serves as CTO and senior technical consultant for developersDen, providing direction in business analysis, and solution architecture and design for their product development efforts. In this conversation, Patrick discusses DynaPoint, an add-in for PowerPoint. Afzal Amijee is an entrepreneur with strong operational experience. He is the founder of Vimodi, a novel visual discussion app. He loves technology and has increasingly become interested in how to adapt technology to human interaction and not the other way. He adores simple and beautiful things in life and always tries to bring the "discipline of non-clutter" into his work and designs. Prior to Vimodi, he enjoyed working as a leader, change agent and functional expert in both large and small tech/telco companies. He is from Tanzania and serves on the Board of Equity for Africa, a not-for-profit organization that provides finance leasing to small entrepreneurial businesses in Tanzania. In this conversation, Afzal discusses Vimodi. All the SmartArt layouts have text placeholders, which are basically text boxes. You can click and start typing within these placeholders to add text. In the previous tutorial we have showed you how to insert a SmartArt graphic within PowerPoint (or convert some bulleted text to SmartArt), and how the SmartArt Text Pane works. 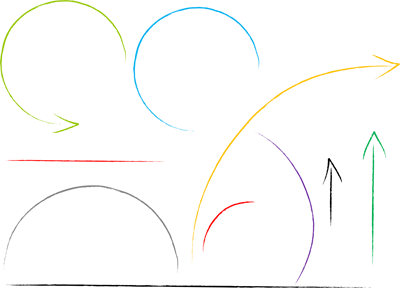 There are several ways to format the SmartArt graphic text; follow these steps to learn more. After inserting a SmartArt graphic in PowerPoint 2013, you can add animation to your SmartArt, you'll discover that the entire graphic animates at the same time -- it may seem that you have no control over animating individual SmartArt shapes, but that's not entirely true since PowerPoint 2013 does provide some control over animating SmartArt shapes -- in this tutorial, you'll learn where to find those options, and how to use them to animate a SmartArt graphic with more control. An organization chart in PowerPoint 2013 is not a separate option on the Insert tab of the Ribbon -- rather it is just one of the many variants of SmartArt graphics you can insert in your slide. An organization chart graphically represents the management or hierarchical structure of an organization. If you want to illustrate the reporting relationships in your company or organization, you can create a SmartArt graphic using the Organization Chart variant. After inserting an Organization Chart (org chart) in PowerPoint 2013, you might need to add more shapes to your org chart. The default org chart that PowerPoint places has a few shapes. However, you might want to add more shapes, as well as newer hierarchy levels for the new shapes you add. Fortunately, you can make these additions and edits with just a click or two. Follow these steps to start adding more shape(s) to your org chart in PowerPoint 2013. In PowerPoint 2013, there is a new option called Data Callouts that allows you to place your Data Labels within the Callout shapes. The default Data Callouts are simple rectangle shapes. Beyond these simple rectangle callouts, PowerPoint 2013 provides you with various other shapes to make your Data Labels stand apart. The Data Labels that you add to your PowerPoint charts can be enhanced by exploring Format Data Label options. These Format Data Label options include Label Options to edit the content, the position, and the format of Data Labels, as explained in this tutorial. Once you insert a video clip on your slide, you can do so much more to enhance its look. Probably, you may want to apply corrections, or recolor your videos. Additionally, you can also apply any of the preset Video Styles available -- this is a quick and easy way to add some character to your video without spending too much time. In addition, there are small niceties that PowerPoint 2013 provides, such as adding a border to your video clip. In this tutorial, we'll explore how to add a frame like effect to your video by using the Border option. Charts that include elements spaced apart look better. You can increase the Gap width so that there is enough space between the categories. Also, you can adjust the space between the individual Data Series within a category. 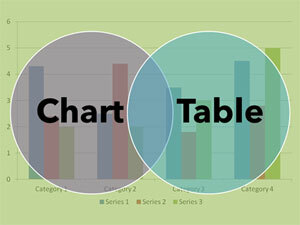 By default, charts in PowerPoint 2011 do not show any gap between the individual Data Series within a category. In all PowerPoint versions, you can either animate the entire table -- apply no animation at all! There's no easy way to animate just one column, row, or cell individually. Yet, there is one more workaround where you don't actually apply any animation to the table components, but when you play the slide containing the table, it looks like your table components are animating! This entire collection's price is set to $99, but for a limited time offer you can get this complete kit for only $49. 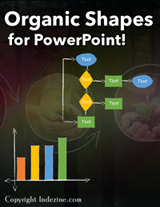 So hurry, get this huge organic shapes collections, and start creating amazing slides. Click above thumbnail to watch the YouTube Video. Regardless of the timings I input into the "Advance Slide After" window, the actual slide stays up longer. Explores how digital technology redefines what it means to read.